Looking for something more exciting than a standard round or sheet cake? 2D cakes (quite literally!) add an extra dimension to your cake. There are many types of 2D cakes we can make. Number shapes are great for celebrating milestone birthdays or anniversaries. 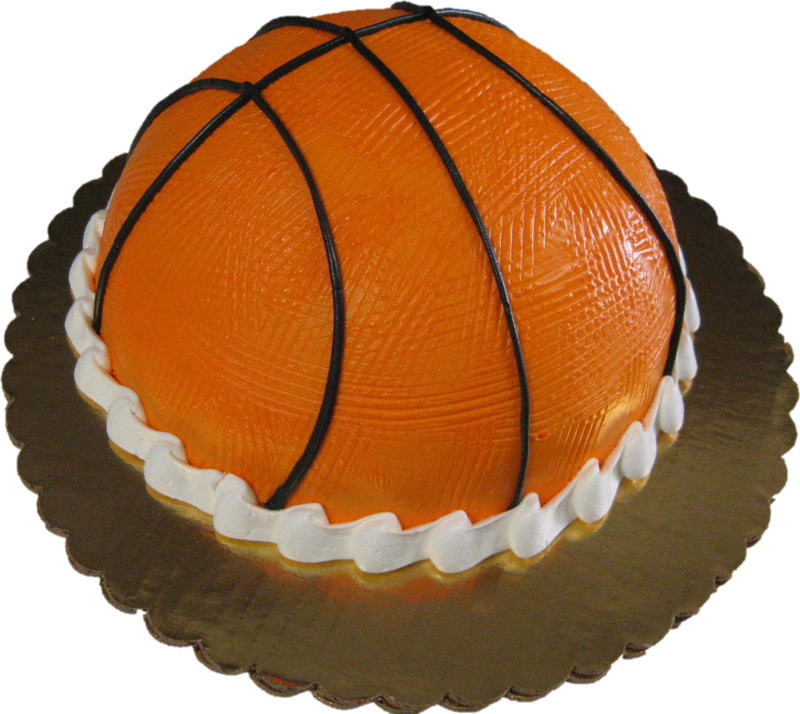 Sports shapes like basketballs or jerseys make a great congratulatory cake for that big win at the end of the season. Or make your daughter feel like a princess with a fabulous doll cake! 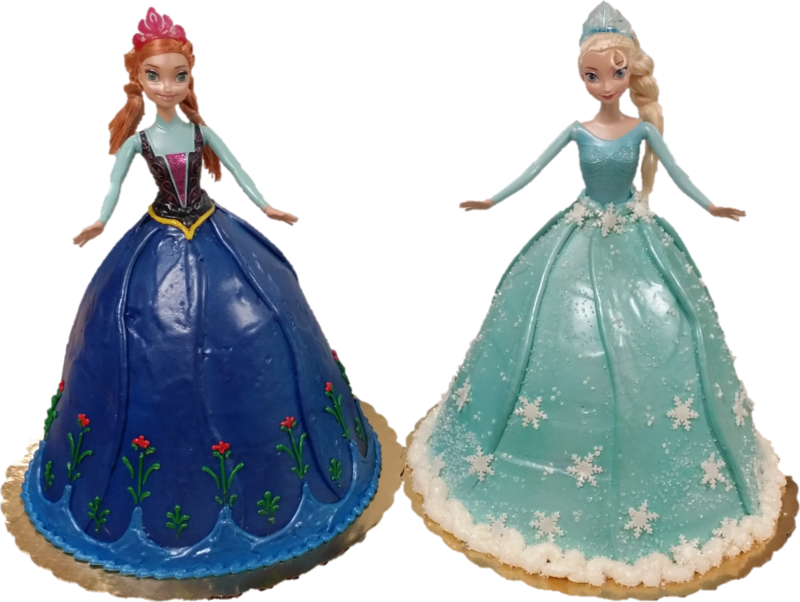 2D cakes are typically flat on top with a shape carved out from a top down view, or round with added volume on top. They can be shaped like animals, accessories, hearts, crosses, vehicles, or just about anything you can imagine. Most 2D cakes require only a standard one day notice, although, as with any order, weekend pickups should be ordered a few days in advance. 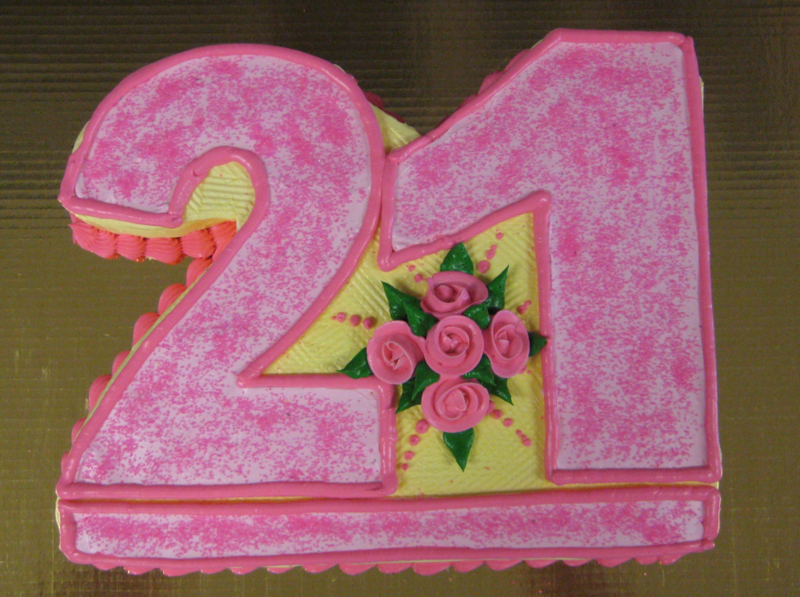 Take a look at our Flickr to see some of the 2D cakes we've made, or give us a call to talk about your own ideas! Drop by the shop with an image of what you have in mind, and we can typically place your order right then and there!